a shine machine: A Run With Scissors Giveaway! Hello friends!! 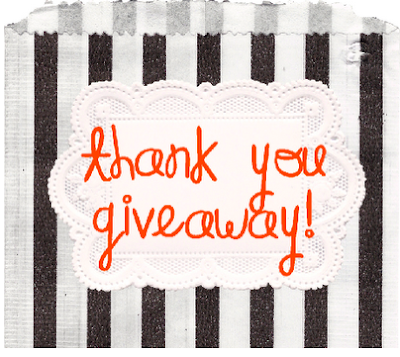 I promised a giveaway once I reached 1100 readers and it looks like that goal has been acheived! 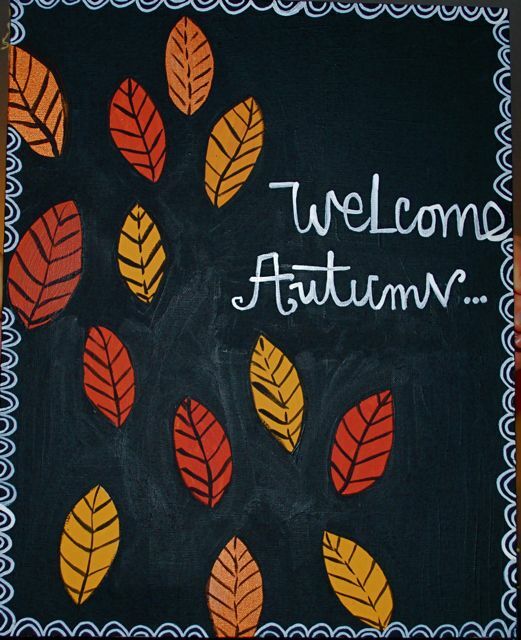 Up for grabs is this LARGE painting that I made especially for this lovely season we are entering...Autumn. This is an original acrylic on canvas, painted by me! I will also be throwing in some other autumn themed goodies as well (think pumpkin spice kisses, Starbucks gift card...and more)! * You blog about the giveaway. Leave an extra comment for each entry please!! I will be drawing a winner, next Sunday October 3!! Thank you again for your amazing comments, friendships and more. I love all of you more than you know!! Te Maari at little monarch. Hi Janel! What a beautiful painting! I would love to see more 1) inside scoop on what being a teacher is like for you (I teach, too) and 2) what you and your husband do to spend quality time together...you know, date nights, etc. I would like to see you do more fall/winter DIY's. I really like this painting, it would be my first fall piece of artwork in our home. hmm i love inspiration, so anything that is inspiring you :) The painting is awesome! I just love your blog. Can't think of anything! What a beautiful painting! I would loooove to see more of your craftiliciousness! lol! Seriously, I am always so inspired by your work! DIY's are super fab, too! i think it would be cool to have more tutorials? really the blog is awesome i love it. P.S. I love when you talk about your journey with God! It's very inspiring. oh and i follow too! My twitter is locked for privacy (but you are always welcome to send me a friends request janel :)) - but I tweeted... er, retweeted christenkrumm about it! Oh I totally follow you. :) xo. oh my goodness! After seeing this and the one you made for Lindsay I'm realizing I am going to need a painting from you in my new home! Crossing my fingers for this one! I would love to see more of your house and how you decorate it. It looks so cute! <3 Love you so much!! this is amazing! I must have it haha. you are so talented :) I'd love to add it to my dorm room :) thanks for the giveaway sweet girl. I would love to see more of the art and cute adorable things that YOU make! I follow your gorgeous blog! I would love to see more about your personal life / family life (though I know it can be sooo hard to talk about yourself on a blog!) I would find that so immensely interesting. I'm a follower, as well. I love DIY's and also I love seeing your mini albums! I love DIY's. But also your mini albums! Never can have enough of them! Exciting! Congrats on reaching your goal! I would love to see more of the projects you think up for the art class you teach (IRL)! You are so crafty and creative. And I am so jealous. Love attempting to do something fun! Janel I Love what you do already! I would love for you to keep it up!!!! you're AWESOME just the way you are!! Entry #1 - I would love to see more of your quilts!! You do an amazing job on them! Or DIY's, I love those! Entry #2 - I am - and have been - a loyal follower for a while now!! More diy projects would be AMAZING. Like, a new themed project every week. How adorable would that be? I would like to see more of your home...it's just way too awesome! i would like to see more photos of crafty projects/art journals that you're working on! also, i follow your blog! i would love to hear about the school you teach at and your school projects and such! also the kids you teach! and what they learn! Gosh... Can`t really figure what I would like to see more of. Maybe more DIY`s, maybe more paintings or maybe more of the things you absolutely adore. I don`t know :-?? Just love the painting, btw!! Hi ! I would love to see some more DIY. :) I love those! I'm a new reader, and so far I love love love everything I see. I started reading thanks to a link from your 30 day journal project. I am also a teacher, so I would love to know what else we have in common and how you inspire your students. Thanks for making me smile. What a super sweet painting! I would love to see more of YOU! I am so, so in love with this painting; it rocks! Ooo ps, I'm a follower too ;) Hooray Autumn! I would love to see download-able journal template pages!!! fun fun fun! I'm a follower! and I love that painting! So cute! I tweeted you! Yay for fall!!! love this painting Janel! i would like to see/hear more about your adoption process...how far you are in to it, where little pita will be from...etc. i wanna see more pics of you and your hubby!!! of any holiday. Your blog is inspiring and unique. Crafter must love pets... I love your shares. more of your original works of art like this painting! I follow you now!!! Love your blog! I already enjoy reading your posts. I am looking forward to your posts about your adoption process and I of course, love DIY projects. I would love to have this painting for my entry. I love fall! I always love to see anything vintage! I looove this painting! I would love to hear more about what kinds of things you do with the kids you teach. I was in school to be an art teacher (currently on hiatus because I can not afford to pay tuition at the moment) and always have ideas of what I would love to do when I finally am a teacher! More Pita! When do you officially start the process? So exciting! I like you blog just as it is, discovered geocaching and other fun stuff, great inspiration (almost) daily! Wouldn't change a thing. Love your painting, I'm looking for my own appartment right now, and I'm sure this would ook great in it! i'm following! i'd love you see more of your artwork!